Training your dog is a long journey on which you will need a few helpful (and why not funky) supplies. These days the choice of branded accessories and equipment available to dog owners is endless but this guide may give you a place to start. 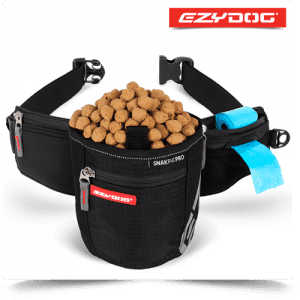 With the EzyDog SnakPak-Pro you’ll have everything you need to train your dog in one comfy accessory (it holds up to 750ml). You’ve got a waterproof oversized lined interior that you can pull up and easily wash out - plus magnetic closures that provide quick smart access to your goodies. There’s also a front waterproof zip closure and hip belt pockets where you can store your keys, phone or money. Finally you’ve got a doo bag dispenser for when business is done. DOOG's Good Dog Treat Pouch was designed with the assistance of professional dog trainers to have all the important features. The treat pouch inner is removable and washable, meaning you no longer have to walk around with a stinky treat bag. The pouch is designed to stay open for quick access and can be easily closed by using the velcro closure or string pull. 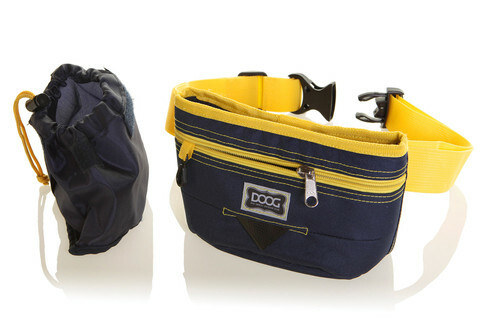 Made from all weather, durable nylon the DOOG Good Dog Treat Pouch also features two inner pockets, one for your poo bags and another for your keys or cash. Like all DOOG bags, it comes with 20 free Tidy Bags, all ready to go. 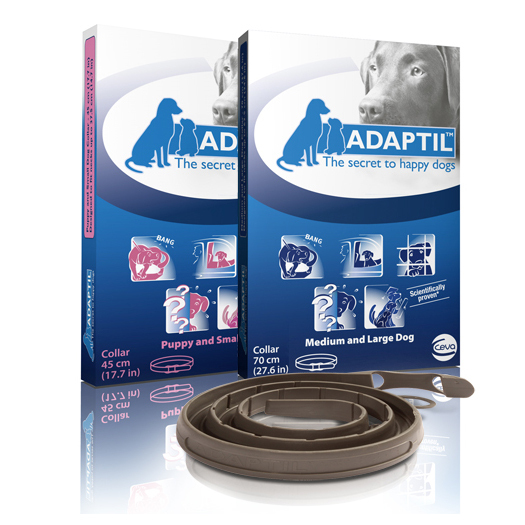 The Adaptil Collar is easy to use and convenient as it releases the dog appeasing pheromone constantly (even when the dog is outside). The dog’s body temperature and close contact warm the collar and encourages the diffusion of pheromones into the local environment. 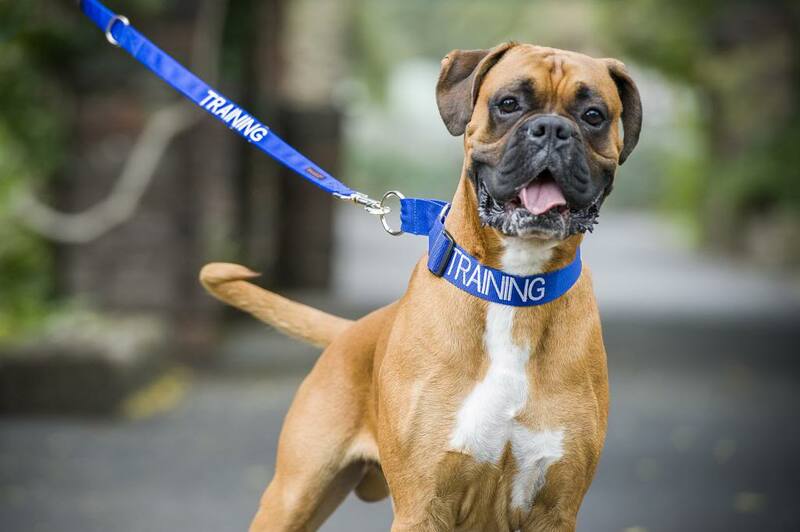 The collar can be used for training as well puppy socialisation or stressful situations (travelling on long journeys, kennelling or anxiety caused by loud noises – fireworks or thunderstorm phobia). The collars last up to 4 weeks. 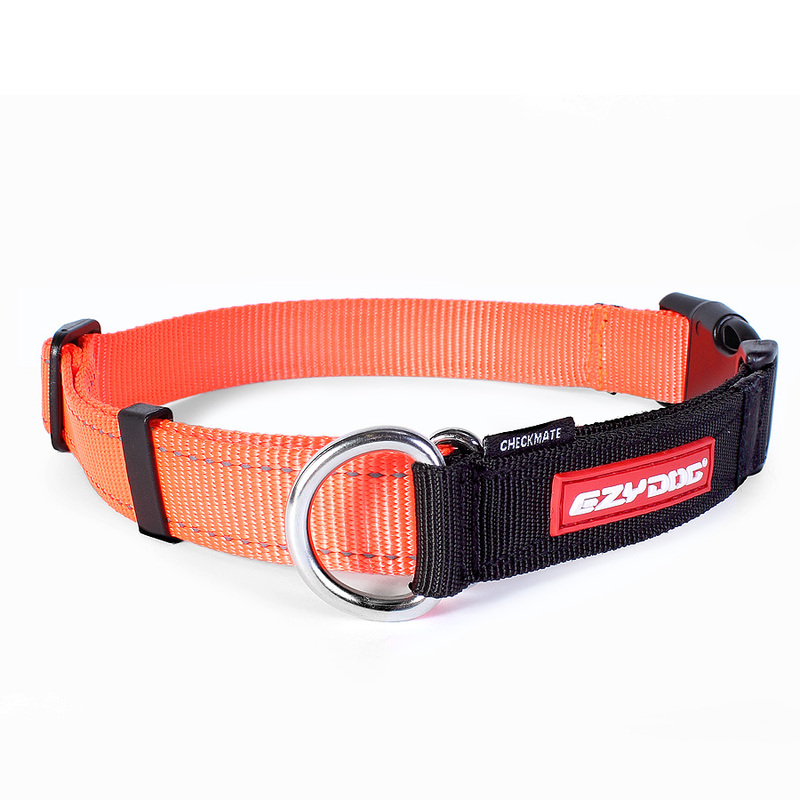 If you are training your dog or if you just need that extra bit of control, but you're concerned about the discomfort of a choke chain or slip collar this martingale style collar could be just what you're after. Unlike slip collars and choke chains, the EzyDog Checkmate collar tightens only enough to give your dog a signal without tightening enough to cause your dog discomfort. The buckle closure is super strong so once it's adjusted to fit the collar won't slip over your dog's head. The Checkmate also has reflective trim to keep your dog visible and safe for evening outings. The “Training” Leash from Friendly Dog Collars is a double layered washable Lead and spells out to the world that your dog is learning new things. This is a high-quality lead and is made of a very strong polypropylene webbing with white embroidered lettering. 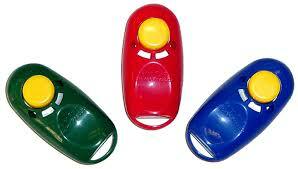 A clicker is simply a small plastic device that makes a distinctive "click" sound when pressed. The clicker has no value or meaning of its own but can quickly be conditioned to represent access to "good things" to your dog. 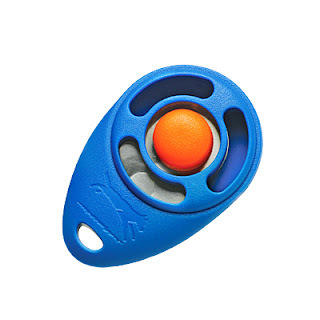 The i-Click dog training clicker is a must-have training tool for sound-sensitive pets: it is quieter than other brands and perfect for use inside the house or flat. It is also small enough to hide in your palm and is very ergonomic as you only need to apply a small amount of pressure. Using the Star Mark Clicker is an easy and fun way to shape and reward positive behaviors in your dog. It is based on the scientific principles of Classical conditioning and Operant conditioning, and its ergonomic design makes it comfortable to use. For more information on how to use the Star Mark Clicker, read the step-by-step guide that comes with the Clicker. RRP: $6.95 from www.vetnpetdirect.com.au and other online pet stores. 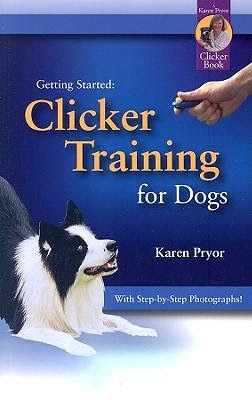 From the author of Don't Shoot the Dog!, this book is must have for those learning clicker training. Clicker training is not about the clicker or about the food. It is about the reinforcement presented with correct timing in such a way that information is communicated between trainer and pet. Together you and your dog will learn a new way of interacting. This newest version includes photographs that illustrate the training exercises. So many behavioural problems in dogs result from fear, but fear-based problems can become worse if treated incorrectly. 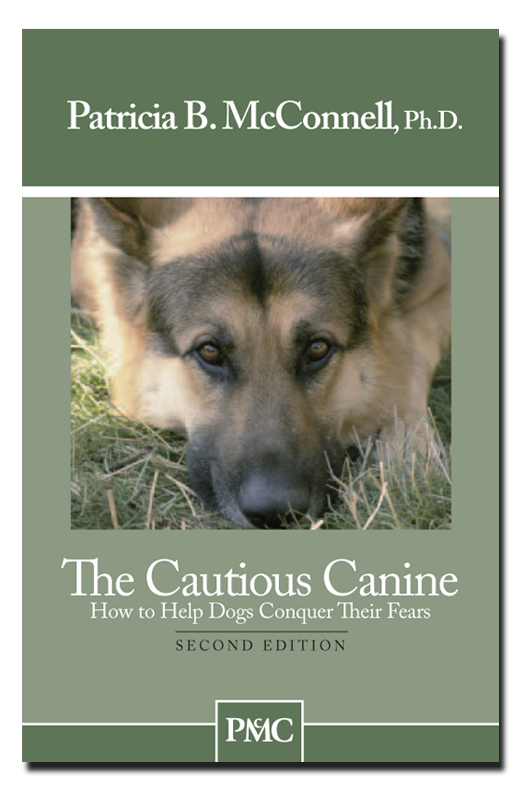 This booklet provides a step-by-step dog training program of desensitising and counter classical conditioning. It can help you solve minor dog problems and prevent serious ones, whether your dog's fears include the vacuum cleaner, people with hats, or the stranger at the door. Covered are the oh-so-important details related to identifying exactly what triggers your dog, creating a step-by-step treatment plan, monitoring your progress, and why you need to treat the fear and not just your dog's reaction to the fear. 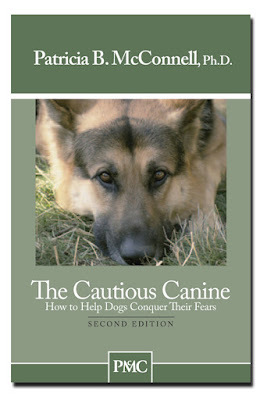 This booklet has helped thousands of dogs and their owners. The Major Dog Training Vest is a high-quality vest (100% Polyester), ideal for training sessions or daily walks with your dogs. It provides lots of pockets for a variety of utensils. It also features a separate treats pocket which can be attached to either the right or left side pocket. Other things to consider when purchasing accessories or equipment for your dog are the breed, size and age of your dog. As the saying goes ‘you get what you pay for’. Investing in good-quality accessories and training equipment made from high-quality materials will save you money in the long term. 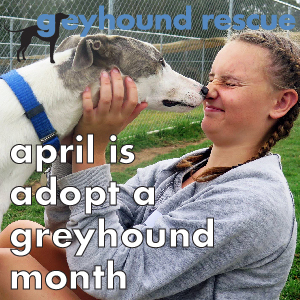 Please note that Australian Dog Lover does not necessarily endorse or recommend any of the commercial products listed in this article and they are listed for informational purposes only.